Thank goodness the holidays are finally over! I spent last weekend putting up all my Christmas decorations. And then I spent all last week gathering up all the things I forgot to pack. I have an entire table filled with the forgotten stuff. I kid you not. I was going to put them up in the attic this weekend, but I forgot to do that, too. Well, it wasn't so much that I forgot to put them up, I just got busy doing something else--like playing with my new fancy-dancy camera that Captain America got me for Christmas. It has more buttons than I know what to do with right now, but this is the year I'm gonna learn. Here is one of my first pics. Which reminds me--Valentine's Day is coming up. 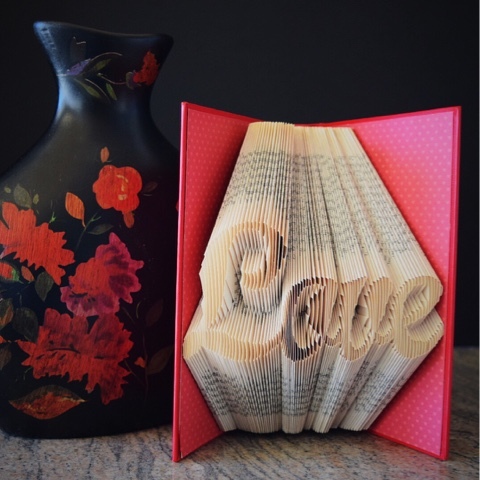 If you're looking for a book that makes a statement, this beauty is for sale in my Etsy shop. Or if you're a DIY kinda person, you still have plenty of time to fold your own book just like this one. The pattern is for sale in my Etsy shop, too! 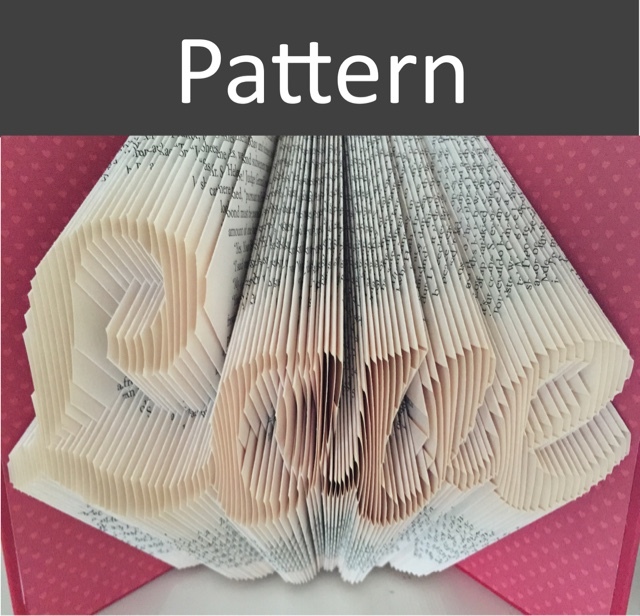 If you've never folded a book before, you can get the Love pattern as part of my Folded Book Kit. The Kit includes instructions and a book to fold along with the pattern. If you're already an experienced book folder, you can also get just the pattern.